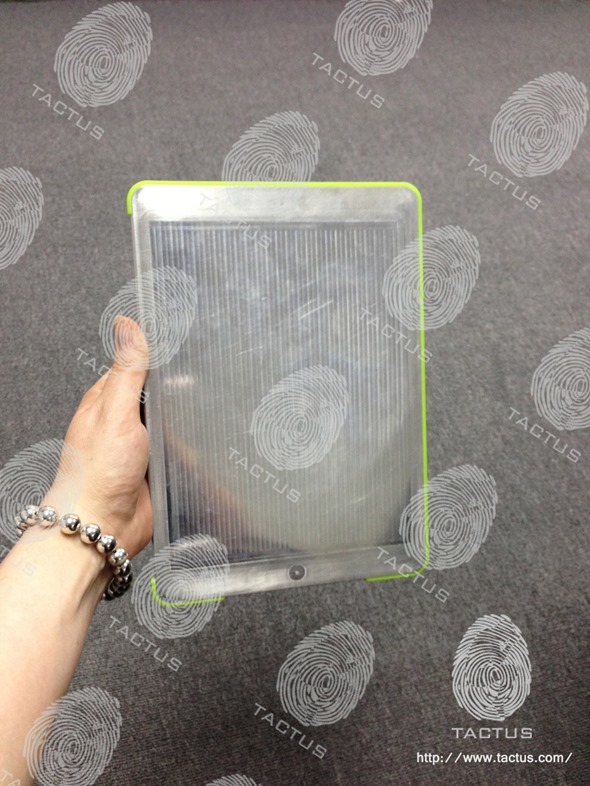 A case mold has today emerged purporting to offer the strongest indication yet as to the form factor of the upcoming fifth-gen iPad. Perhaps even more exciting than the case itself, however, is an accompanying note which suggests the device will be announced by Apple on June 18th, which is just over a month away, and may also coincide with the fruit company’s annual Worldwide Developer Conference. Apple released two new iPads in quick succession last year, but while the later, fourth-gen iPad is significantly faster than the now discontinued third-gen effort, the design remains almost unchanged from that even of the iPad 2. Apple stuck a Lighting dock connector along the bottom, but an iFixit teardown confirmed that, in actual fact, the Cupertino company had made very little use of the additional space, and there’s a strong feeling that the market-leading slate is in need of a bit of a design overhaul. 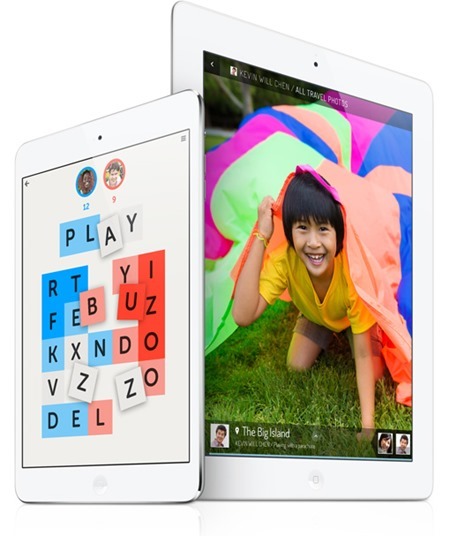 The iPad mini, which released contemporaneously with the fourth-gen iPad, has certainly faced criticism for its lack of Retina display and high price compared with other, similarly configured tablets. However, it has been celebrated for its beautiful, sleek design, and although the full-size iPad has never been an eyesore by any stretch of the imagination, it’s looking decidedly bloated and heavy next to the younger model. 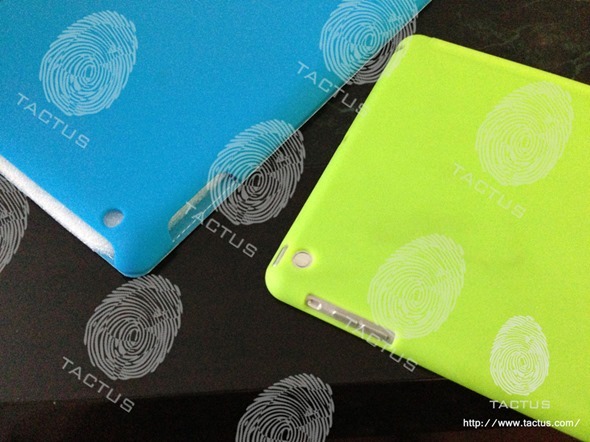 This new mold, which has arrived from an unspecified location in the Far East, was first spotted by Tactus, and as we’ve heard on numerous occasions in recent weeks, once again seems to suggest a design which borrows a great deal from the iPad mini. As well as the thinner side bezels, which allow a narrower look while also making the device more aesthetically pleasing, it also looks as though the speakers will sit either side of the Lightning dock connector along the bottom. With Tactus describing the device as also being similar to the iPad mini in terms of thinness, it looks as though Apple will indeed be opting for a uniform look across the board, and with the site going on to suggest that June 18th date, we may not have to wait too long to see it. We’re naturally taking this one with a fair dose of salt right now, but if, like me, you’re holding out for the next generation of iPad before making your move, I’m sure you’ll be hoping these unverifiable reports do in fact turn out to be true.